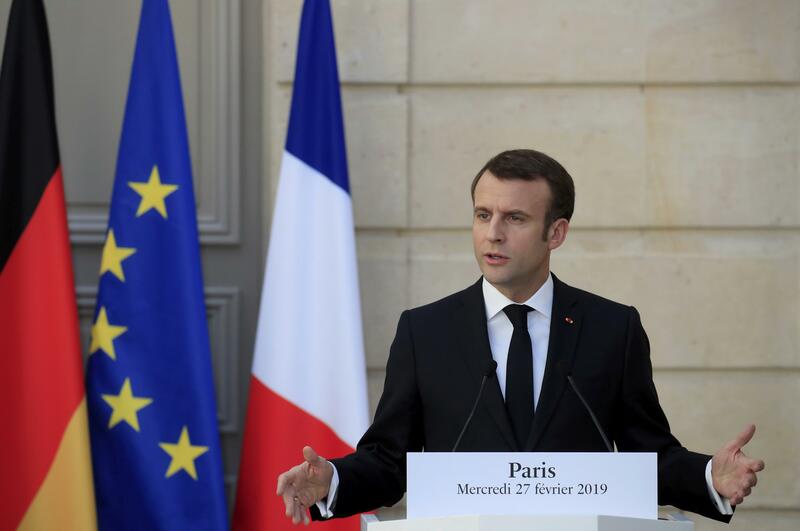 Wed., Feb. 27, 2019, 12:15 p.m.
PARIS – French President Emmanuel Macron on Wednesday asked the Dutch government to clarify why it bought more than 12 percent of shares in the holding company for the Air France-KLM alliance without first advising Paris. French Economy Minister Bruno Le Maire called the move “incomprehensible” and said his Dutch counterpart would come to Paris in coming days to clarify the situation. France’s strong response to the Dutch purchase a day after it was announced underscores the tensions surrounding the alliance between the two airlines. A stern Le Maire told reporters that the Dutch decision to buy shares was “incomprehensible and unexpected.” The best way is to clarify the move, he said, was in person. Dutch Finance Minister Wopke Hoekstra – who announced the shares purchase Tuesday – will be in Paris “in the coming days,” Le Maire said. Hoekstra announced the Dutch government’s purchase of 12.68 percent of shares in Air France-KLM S.A. for $775 million with plans to build up its stake to around 14 percent. The French government’s stake is 14.3 percent. Air France-KLM CEO Benjamin Smith met Dutch government ministers in The Hague this month to discuss the airlines’ future. “It is unbelievably important for the Dutch economy that KLM functions well,” he said. For Le Maire, the objective must be a “collective success” in the “extremely competitive” air transport sector. Published: Feb. 27, 2019, 12:15 p.m.